We'd like to wish all of you a safe and happy holiday season from the whole team at Lit. 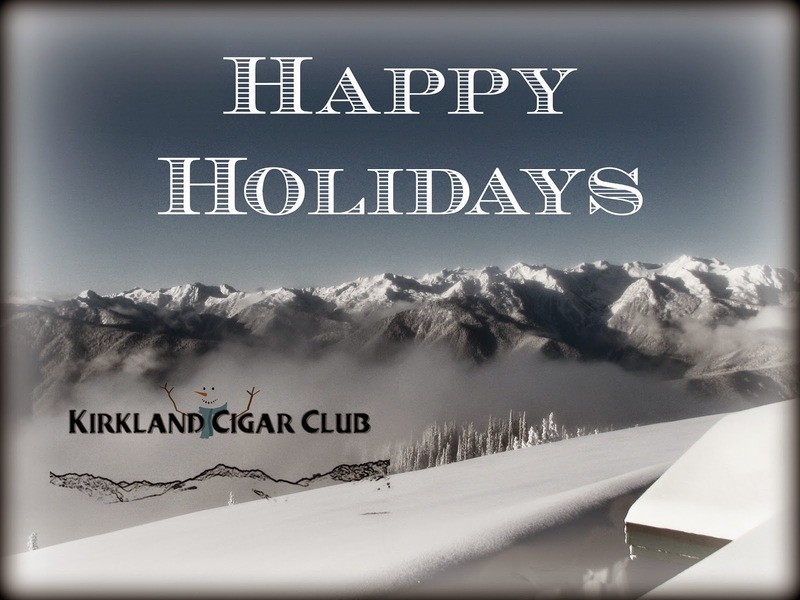 We enjoy sharing our love of cigars and spirits with you and look forward to another year of great times and long ashes! We hope to see you at our last event of the year, Friday December 28th in Lit from 6-9pm as we feature some great cigars from the Toraño Family along with three great expressions of Glenrothes Scotch Whisky. As always, we'll have some excellent deals, prize giveaways and lots of fun. Join us! On New Year's Eve, December 31st, the casino will be hosting a Sno Lounge Resurrection New Year's Eve party in the ballroom, complete with aerial entertainment and special guest DJs. There will be a cigar lounge in the pre-function area for your enjoyment as well! Admission to this event is $20, and the party will run from 8pm - 2am. We'd like to thank everyone for taking part in our Scotch Fest promotion at Lit. There's one week left! We've selected a special menu of 10 Scotches - 7 single malts, 2 blends and one liqueur, which will be featured all month at a special price! Click on this link to check out the menu. 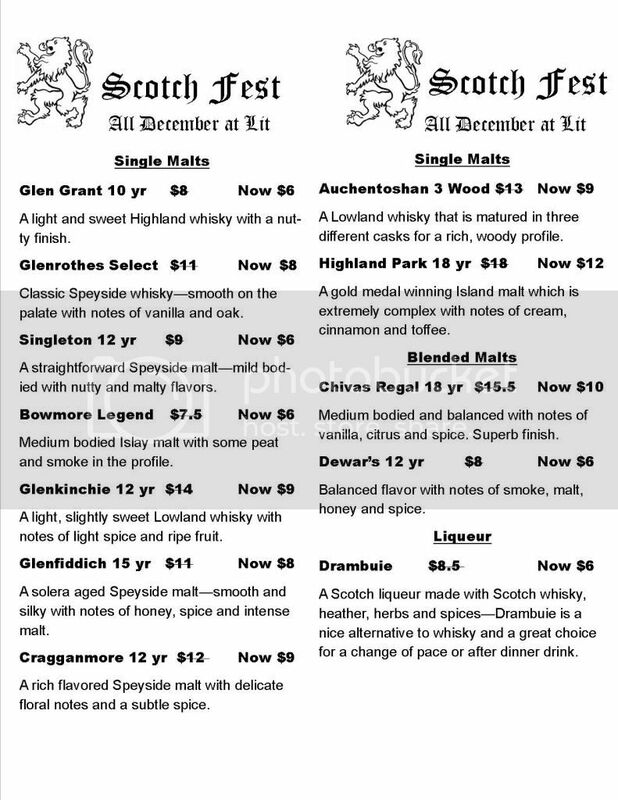 Join us for Scotch Fest until the end of the month at Lit! With the year winding down, there are a number of year end lists of the best cigars of the year coming out. For what it's worth, I wrote a Top 10 list for Lit including my pick for the cigar of the year, the Montecristo Epic #2. 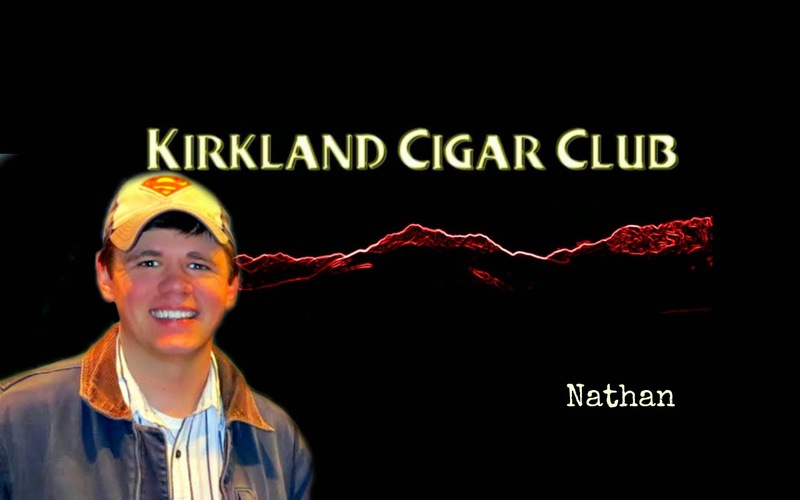 You can read the entire article on the Kirkland Cigar Club blog. Of course, the most famous of these lists is the Cigar Aficionado Top 25, which will be revealed during the first week of the new year on their website. We'd love to hear your input and see your top cigars of the year. Start a conversation on our Facebook page! As the manager of Lit, I've been fortunate to try almost every single one of the new cigars that have been released throughout the year. 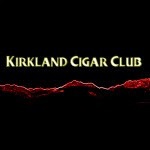 This top 10 list are cigars that are either new to the market or new to me in 2012. Also, I've only included cigars that are available at Lit, but have created an “honorable mention” section for some fantastic cigars that we don’t carry (yet). 10. Romeo by Romeo y Julieta Churchill – This cigar shocked all of us who are familiar with the RyJ brand, which is known for mild to medium bodied cigars that are easy to smoke but lack strength and complexity. The Romeo lacks neither. It’s strong, spicy and full of character. What does translate over from the rest of the Romeo y Julieta line is the fantastic price point and great consistency. This is the first of two of the new Altadis cigars on my list. 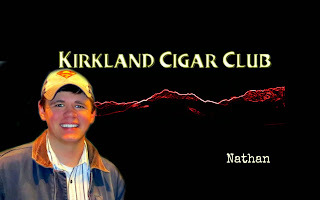 I've been a critic of their inability to think outside the box, but this cigar was a bold step, and one of my favorites. 9. Padron Anniversary 1964 #4 – Big ring gauges aren't really my cup of tea, but Padron really filled a niche here, with this 6 1/2x60 box pressed vitola in the 1964 Anniversary line. Many of us save the Padron Anniversary cigar for special occasions, and it’s great to have one that we can smoke for several hours. It’s a bit milder than the rest of the line, due to the cooler burn and extra filler tobacco, but the flavors are all still there – spice, caramel, floral notes, etc. This is the trend in cigars, bigger ring gauges, so I’m glad to see one of the most reputable families taking on the challenge. 8. Partagas 1845 Robusto – The 1845 line has been so successful, it wouldn't be a stretch to say that it has rescued the non-Cuban Partagas brand, at least at Lit. The bigger sizes, the 7x54 Double Corona and the 6x60 Gigante are better sellers, but my favorite is the Robusto. 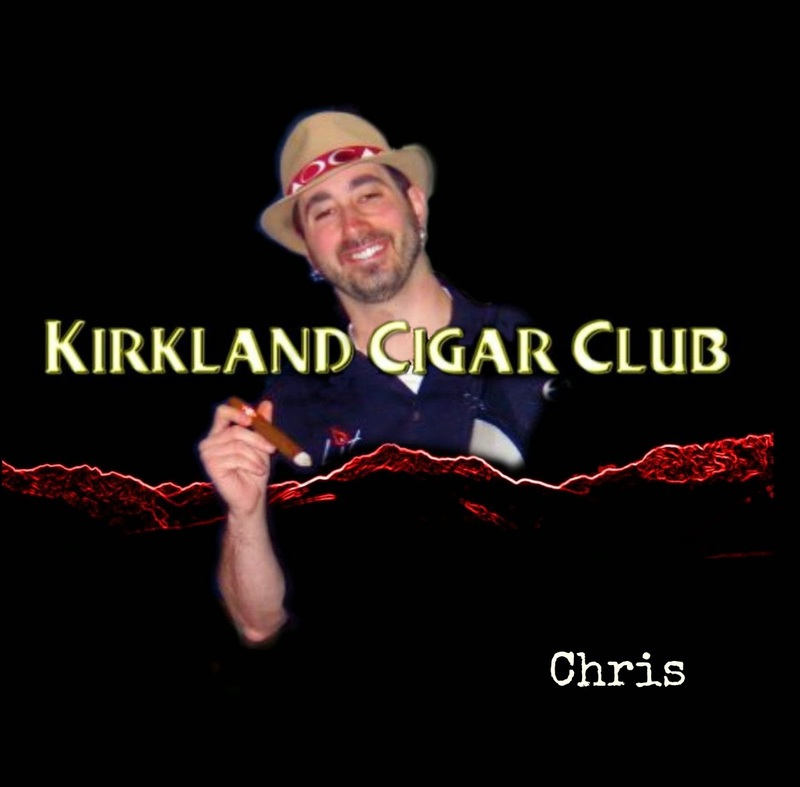 I love the complexity of flavors that this cigar offers, while never rising above the medium bodied category. 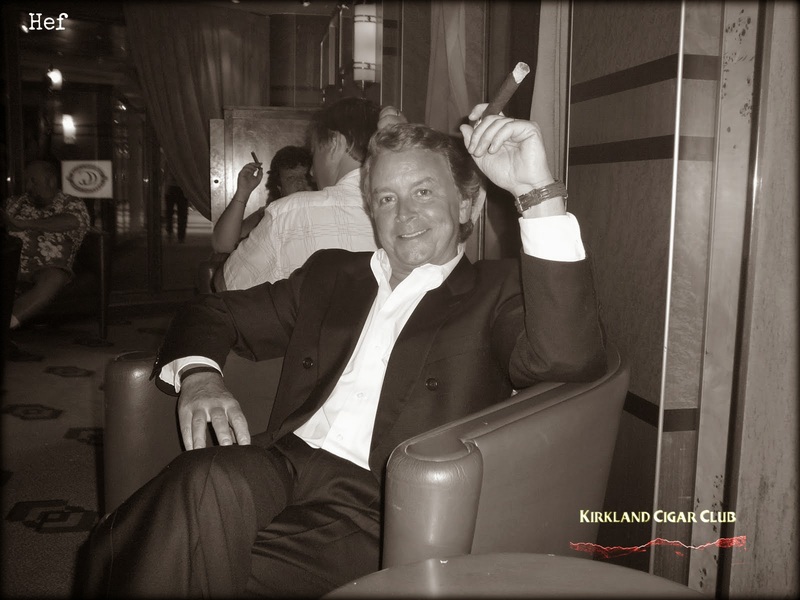 The cigar is flawlessly constructed and full of tobacco, so it burns for a long time. The Ecuadorian Habano wrapper is silky and full of the subtle spice notes that I love. There’s no overpowering kick of pepper here, just a delicious and balanced cigar that can be smoked at any hour of the day. 7. La Aroma de Cuba Mi Amor Beso – When Ashton announced that they were creating a Reserva line for their popular Mi Amor blend, I was a little confused. I thought that the Mi Amor was perfect, with a rich dark San Andres Maduro wrapper and tons of flavor. Only being a year old, did it really need to be renewed already? I’m glad they did it though! The Reserva has been released very sparingly and has been gobbled up quickly. My favorite size is the Beso, a corona gorda that really accentuates the wrapper. If the original Mi Amor had dark chocolate notes in spades, then the Reserva has ramped up the cocoa even more. It’s incredibly rich and all you need is in this smaller size. Definitely a treat if you can get your hands on some. 6. 262 Revere Robusto – 262 is the smallest company represented on our list, and they did an incredible job with their new Revere line. Releasing a Nicaraguan Puro is a bit of a gamble since it’s a crowded market, dominated by My Father and Padron. The Revere stands out not only because of a great price point, but impeccable construction and flavor that isn't compromised or overpowered. Too often, full bodied cigars are blended for strength and end up lacking in flavor. The Revere has both strength and flavor – a peppery kick that still allows for lighter secondary flavors to stand out underneath them. Our staff and guests prefer the corona, but I love the amount of smoke and the complexity of the robusto best. 5. Tatuaje 7th Capa Especial – I think this cigar was actually released in 2011, but has really taken off this year. The Capa Especial signifies the cigar sports a reddish Sumatra wrapper and is a bit mellower. You’ll notice a common theme in this list is that when a cigar can dial back the strength enough so that a full range of flavors comes through, it’s a winner for me. There are three blends of the 7th, a corona gorda size: The original, with a Habano wrapper, the Reserva with a Broadleaf and the Capa Especial. I like this one the best, because you can get subtle flavors more easily. 4. Rocky Patel Edge Habano Toro – Another Nicaraguan Puro at a reasonable price that just knocks it out of the park! Rocky Patel’s cigars are something that either our customers are into or they’re not. There’s not much middle ground. When we brought this one in and started suggesting it, lots of people would say they didn't like Rocky’s stuff. When they gave the Edge Habano a try, every single one of them were impressed. It’s a great example of how a cigar can have lots of flavor without being too strong. Oh, and the price point. Along with the Partagas 1845, it’s the only cigar that comes in under $8. 3. Flor de Las Antillas Toro – This cigar represents the future of the Garcia family and My Father cigars. Even though their company is only 10 years old, they’ve already reached the point where they can release a fantastic cigar using only tobacco that they've grown and cured at their own farms. The FDLA is a box pressed Nicaraguan Puro with a delicious sun grown wrapper that teeters between medium and full bodied. There’s extra spice and voluminous amounts of smoke that really add to the smoking experience. I enjoy the easy draw and extra smoke from box pressed cigars even though they burn so quickly. I get through this toro in around 40 minutes. In that case, I’ll have two! 2. J. Fuego Edicion de Familia Toro – I've been a fan of Jesus Fuego’s cigars for years now, but in 2012 he has finally released his masterpiece. The Edicion de Familia come in three sizes – Belicoso, Robusto, and Toro, and are limited to only 7500 cigars of each size. Each 10 ct. box is signed and numbered. He also went through the trouble to age all of the tobacco in these cigars for no less than 10 years. It shows. The EDF Toro is full of flavors you don’t get in most cigars. It’s musky and rich, with layers of flavor that start with the basic stronger notes of pepper and earth, but eventually give way to delicate floral notes and sweeter vanilla and honey notes. I don’t know if you’ll taste all of this, but it only took about the first inch of this cigar before I knew it would make the list. 1. Montecristo Epic #2 – My cigar of the year comes from the unlikeliest of manufacturers. 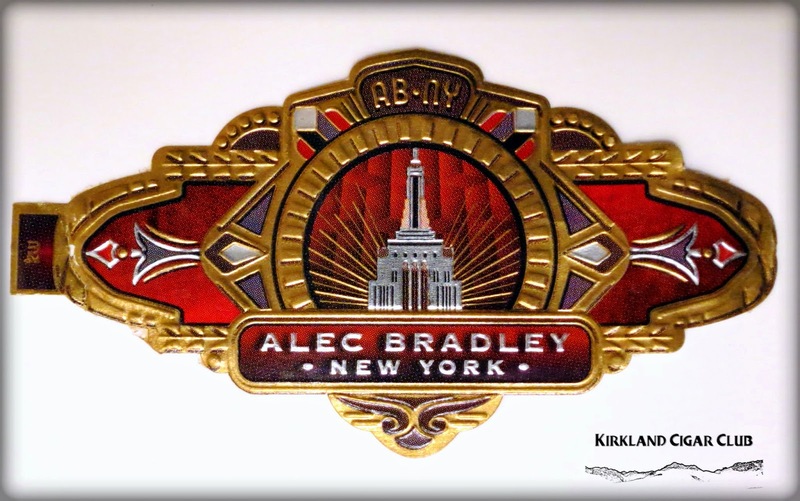 Altadis USA is one of the biggest makers of premium cigars and rarely receives critical acclaim, nor do they usually deserve it. However, they blew the roof off with the Epic blend. Originally released in 3 sizes, Robusto, Toro, and Churchill in beautiful 10 count boxes, the Epic is a fuller bodied Montecristo that uses all vintage tobacco from 2007 and is only made by the companies top cigar makers, their “Grupo de Maestros.” Right away, the cigar reminded me of the Fuente Opux X in how much flavor I was getting out of it right away. Opus X, however, can overpower the smoker with too much ligero and an iffy burn. The Epic is a touch mellower and have the razor sharp burn lines that only a perfectly executed cigar can have. There is not a more beautifully constructed cigar than the Limited Edition Epic #2 with is not a regular production size. It’s a flawless pyramid with a perfect burn and all of the complex flavors of the Epic line, but it’s better because of the way the pyramid shape concentrates and evolves as you get to the final third. Crowned Heads Headley Grange – This will be all over everyone’s best cigar list and with good reason. It’s a balanced, nuanced smoke that is well thought out and perfectly executed. I only wish I had a few more of these. Guayacan Robusto – I don’t know too much about this cigar other than I've smoked a few and absolutely love them. Box pressed with an oily Ecuadorian Habano wrapper. I haven’t seen them at any shops in the Northwest, but if you can find one, I suggest giving it a try. Elogio ESV – A boutique blend that I tried at the trade show this summer. I have no idea where you can get this one either, but this cigar gives a ton of strength without sacrificing depth of flavor. If only we had a humidor twice as big! We could add all of this stuff. Undercrown Corona Viva – Drew Estate has really come into their own over the past few years. This new size in the Undercrown line is my favorite. Quesada Oktoberfest – These come out in limited quantities every fall and are one of my favorite smokes. I found them at Tobacco Patch in Kirkland. Pick one up if you see it. 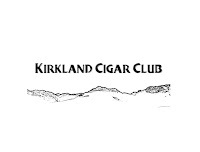 Our last cigar event of the year will take place on Friday, December 28th in Lit from 6-9pm. Join us as we feature Toraño Family cigars and Glenrothes Single Malt scotch. We'll have some great deals on all of these products, including two of Toraño's newest lines, Salutem and Master Maduro. For those of you who love our prize drawings, we are breaking out some extra special stuff on this night. On 12/21/12, the casino is having an End of the World party in the ballroom area from 8pm-2am. Come on out and party like there's no tomorrow! On New Year's Eve, December 31st, the casino will be hosting a Sno Lounge Resurrection New Year's Eve party in the ballroom, complete with aerial entertainment and special guest DJs. 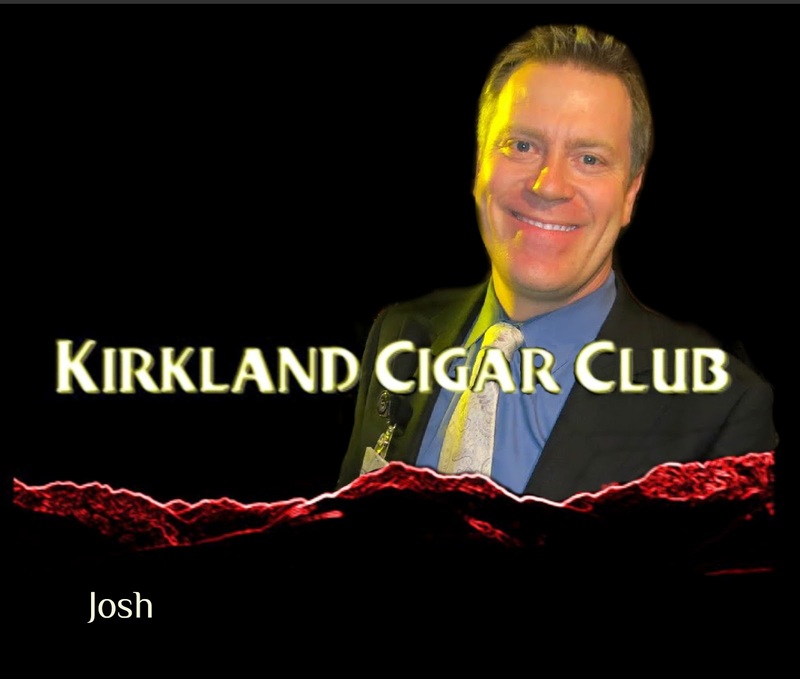 There will be a cigar lounge in the pre-function area for your enjoyment as well! Admission to this event is $20 and doors open at 8pm. On behalf of the entire Kirkland Cigar Club crew, I'd like to wish you and yours a very Merry Christmas, and of course a Happy New Year! 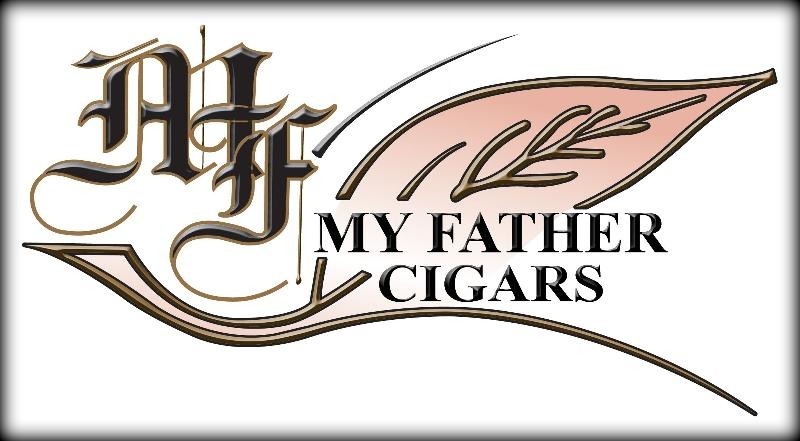 Come meet Jose Ortega at the My Father Cigars Event! 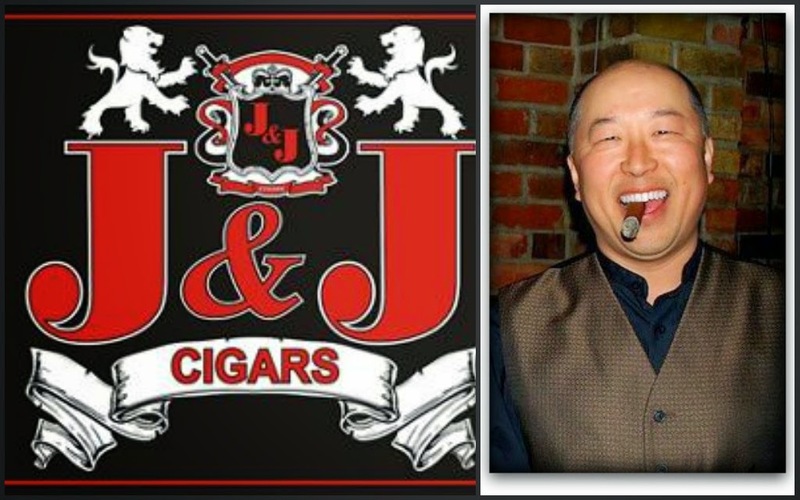 JOIN US FOR ANOTHER GREAT EVENT AT J&J CIGARS!! 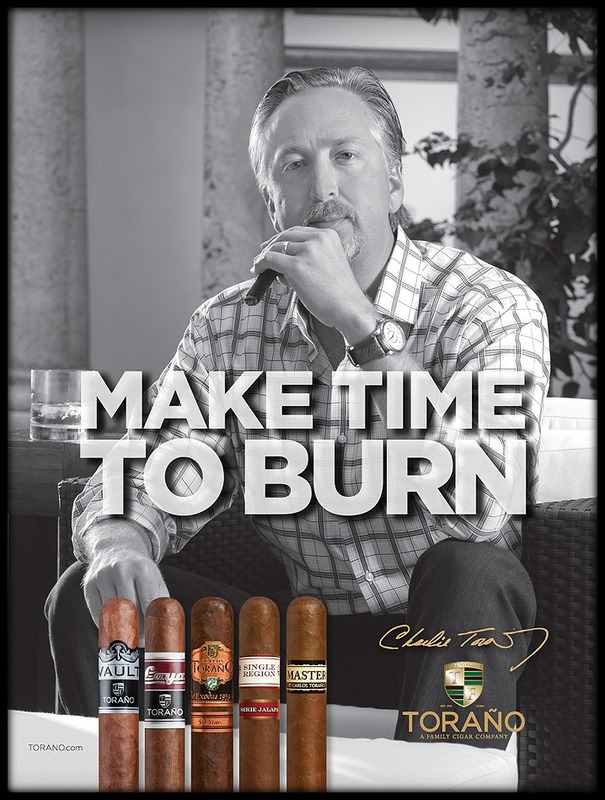 By any 4 My Father cigars and get one FREE! 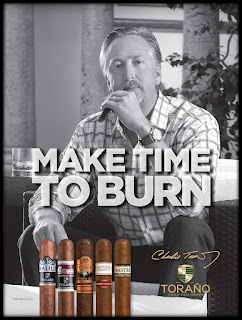 Buy 10 My Father cigars and get 3 FREE! 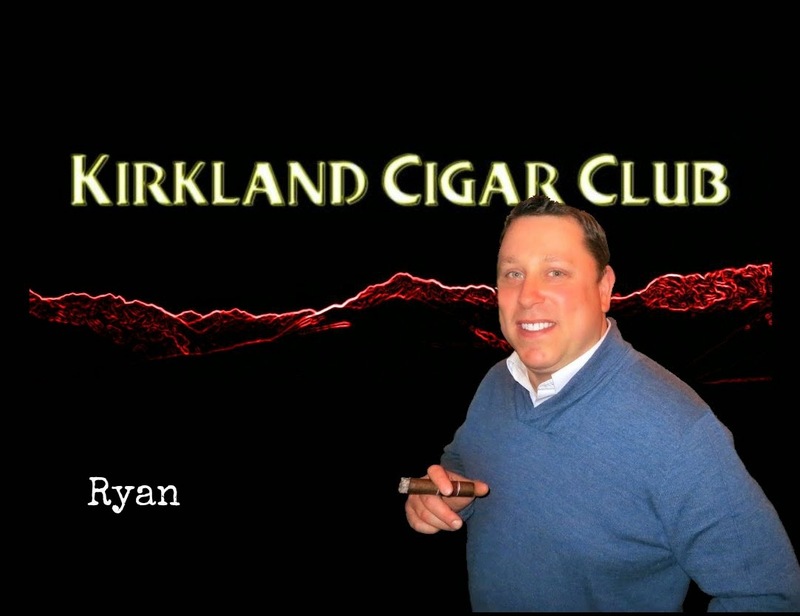 This is a great opportunity to meet a great cigar maker and to experience some fantastic smokes for a friendly price. 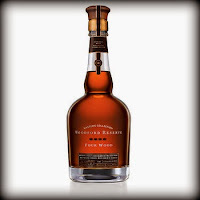 On Wednesday, December 12, join us for our annual Woodford Reserve Holiday Party in Lit from 6-9pm. We'll be joined by Jon Stave from Woodford Reserve who will bring his usual arrays of wacky gifts and prizes. 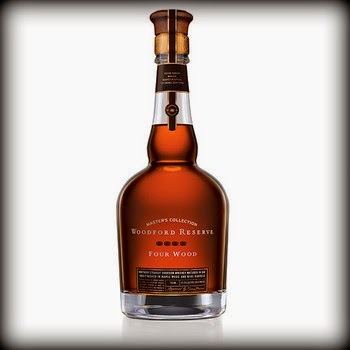 We'll be featuring our entire line of Woodford whiskeys, including the Snoqualmie Reserve, the new Double Oaked as well as a special treat, the brand new Woodford Master's Collection Four Wood. We'll also be joined by Jose Ortega of My Father cigars as we feature some great holiday deals on the My Father, Don Pepin Garcia, Flor de Las Antillas, and La Dueña lines. As always, it will be a great time, so we hope to see you there! On New Year's Eve, December 31st, the casino will be hosting a Sno Lounge Resurrection New Year's Eve party in the ballroom, complete with aerial entertainment and special guest DJs. There will be a cigar lounge in the pre-function area for your enjoyment as well! Admission to this event is $20, however the first 20 of our loyal Lit Newsletter readers who respond to me to RSVP will be on a list for free admission. If you wish to RSVP, reply to this email with your name and the name of up to one other person to get your name on the list. I'll reply with confirmation that you're on our RSVP list. On Friday, December 21, Snoqualmie Casino will be hosting an End of the World party. Come out and party like there's no tomorrow! Here's the link for more details. December is a great time to stock up the humidor or buy cigar related gifts for your favorite aficionado. Here's a sampling of what's new in our humidor. Gift Sets: Right now, we have special samplers and gift sets in stock from Alec Bradley, Macanudo, Brickhouse, Cohiba and more. 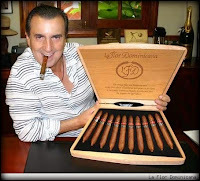 La Flor Dominicana Salomon: Litto Gomez of La Flor Dominicana (pictured) has created a masterpiece of a cigar! It's a large 7x64 perfecto that's only released every two years or so. Pick one up while they last. My Father Limited Edition and My Father #6: Two brand new cigars from the Garcia family just in time for Wednesday's event! The Limited Edition is a super-premium cigar limited to only 2,500 boxes of 12, while the #6 is a new size in the regular My Father Line, a box pressed 6x60. 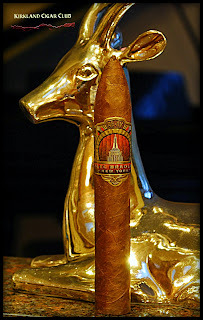 Oliva V Maduro 2012: Another extremely limited edition cigar for the holidays. The V Maduro is a 6x50 with a San Andres Maduro wrapper limited to 5,000 boxes of 10. At only $11/stick, they won't last very long. For those of you looking for Arturo Fuente Añejo, they are set to arrive in the middle of next week, along with the Fuente Holiday gift sets. Review of Dona Flor 'Seleção' (select) version. A long day of cold winter evenings had to be interrupted by a nice dry, albeit overcast and cold, evening out to enjoy a cigar. This review of the Dona Flor Seleção, is, well, underwhelming. I got this stick as a paternity gift (along with some other very nice items). The construction appeared very well made. The stiffness was firmer than what I'm accustomed to, but offered a little give. The head appeared well made, and the foot was cleanly cut and straight. The wrapper was a beautiful milky cocoa color, with little veins. Boundless amounts of filler, but no visible stems. The smell was... average. Rating on a scale 1-3, this yields a 2.5 for good construction but stiffness. The flavor was the surprising part. After lighting, i was hit like a wrecking-ball with a punch of woody and leather, and very strong flavors. I recall it not being to peppery (my personal tastes), but knock you over strong for the first 2-3 minutes of burn. It was too much for me. Alas, I power through, fingers crossed, for better times to come. They do; for a short while. Past the 15% mark, the stick mellowed out to a very nice tone and seemed to behave. This lasted for about 10 minutes, and the naughtiness returns like an ADHD-toddler with pots-n-pans. The changes were extremely abrupt, flavor changes were not palatable for me. I had to stop a little over half-way through; just couldn't take it any more. I have no clue if there was any age on this prior to being a gift; and given the chance to sit and mellow, there may be a possibility here. I hope you are more patient than me. Rating on a scale of 1-3, this yields a 1.5 for the inconsistency and poor flavor. The draw was much stiffer than i anticipated; possibly due to the large and compressed amount of binder and filler. The old high-school saying about "chrome off a bumper" (if you know the reference). Plus side is that when lit, it burned evenly, stayed lit, and had a nice ash pattern. I cannot say for certain, but my thoughts are either very well hand-made, or machine made (leaning towards the latter). Rating on a scale of 1-3, this yields about a 2.5 for the stiff draw. 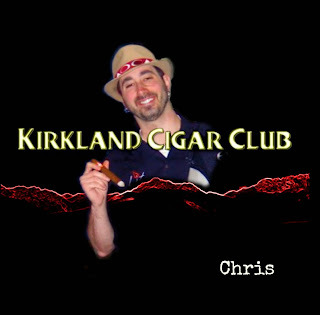 Again, I'm a bit of a picky cigar person, with very personal tastes; it gets my lowest rating yet at 72%. Would I buy more of these; no. Getting one as a gift, I thank the gifter tremendously and probably should have waited longer before lighting this one up. Given the choice, I'd rather stick with my go-to favs. However, I'll let you have the final word; enjoy!!! Review of Cohiba Siglo VI Tubo; the habanos version. Being that one of my favorite indulgences to date has been the Habanos Cohiba Robusto, the Siglo VI offers a "special occasion" opportunity to which I could not resist. My history with my special occasion cigar. In line with the "special occasion" opportunity; after finding out that my wife was pregnant, I reveled at the thought of having a son; we were letting it be a surprise. If it was a boy, having a 3-pack of stogies; 1 to have at birth, and the other two shared on his 18th birthday, would be a real treat. If we got a beautiful girl, then I enjoy them at my leisure. As life has it, we had a BOY. As with all habanos, and Cohibas I've had to-date, this one lives up to its reputation. My Siglo VI was ordered and aged in my wonderful "tuperador" for about 5 months prior to partaking. Thanks to our strict state law, and the time commitment of an infant, I recently enjoyed this Cohiba about the 2-month mark of my son; with friends at the Kirkland Tobacco Patch. The look of this cigar is "average" for a Cohiba. There are no special markings outside the tubo, and this was not an EL (edition-limitada). The feel was firm, with enough give to enjoy the feel in your hand or mouth without that spongy or rock feeling. The filler appears well packed, but not too tightly to inhibit draw. The wrapper was excellently constructed, with a very nice round cap, and clean foot. The flavor was a nice full body with very mellow butter and nut, with hints of pepper and cedar; without being overpowering. Since it was aged many months, it was a smooth and mature taste. The initial light didn't pop with a pepper flavor, but did have notable strong tastes for the first minute, but quickly eased into a very nice flavor that had mild changes throughout the cigar. I enjoyed it until the last 20%, where the flavor got too strong and woody for my tastes. Rating on a scale of 1-3, this yields a 3, easily. The draw was excellent! There was enough flow to enjoy full flavor without too much effort, but just enough to let you know you were smoking something wonderful. Burn was slightly uneven, and required about 3 re-lights throughout the 45-70 minutes I was enjoying this cigar; although that is significantly above my normal, it reminded me that expensive things can also be finicky. Perhaps the ability to stay lit could have been due to the cold/damp evening, or the storage humidity level, or any number of factors. Rating on a scale of 1-3, this yields about a 2.5 for failure to stay lit. Overall score for me; a picky cigar person, with very personal tastes; it gets an 91%. Would I buy more of these; ABSOLUTELY YES. And I have 1 more to share and 1 more to enjoy in another 18 years with my son. Hopefully, they will only age better than ever. For the price, these are very good. Can you get another habano that's as good for cheaper? I'll let you decide. In the interim; enjoy!!! I have some great news! Over the next few weeks, you will see some big improvements to J&J Cigars. 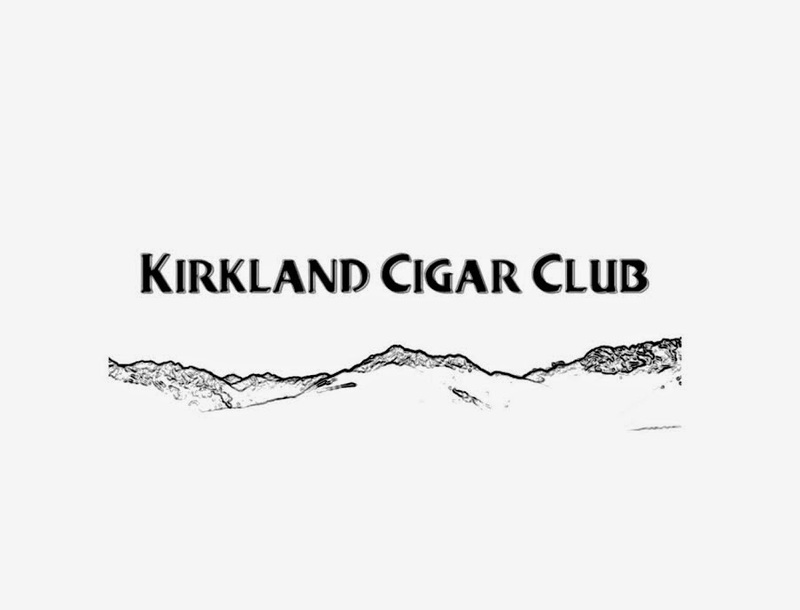 Our carpet is being replaced with beautiful wood flooring, we will be stocking our shelves with some of the best cigars on the market, and we are improving some of the little things that really affect your experience as customers. We are aiming to make J&J Cigars the top destination in Seattle for cigar lovers. Among the additions to our cigar selection, humidors, and other cigar related stuff, we will be the ONLY place in town to find the exclusive Crush Tobacco Infused Chocolate Dipped Salted Caramels. Chef Jason Wilson, owner of Crush Restaurant, is teaming up with J&J Cigars to bring this unique treat to the Seattle market. In coming weeks, look for Davidoff, Arturo Fuente, Padron, La Palina, La Traviata, Macanudo, Partagas, Foundry, La Gloria Cubana, Casa Magna, Via Habana, and Punch cigars in addition to our old standards such as Illusione, My Father, Tatuaje, San Lotano, Torano, Cain, Avo, Zino, and many others. Come down soon to see things happening! My Father Cigar Event with Jose Ortega! 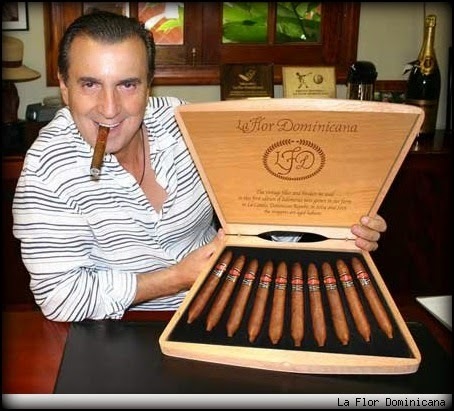 Come meet Jose Ortega of My Father Cigars Friday, December 14th @ 5:00pm - 9:00pm as we kick off the holiday season with fantastic Sales Event featuring one of the best names in cigars. We will have beverages for everyone and will have a RAFFLE with some great prizes. In conjunction with the release of our new mobile app, Rain City Cigar introduces "Spotlight". Every few weeks we will be hosting a mini-event in our store and shining the spotlight on new brands & items via our mobile app. Special notifications, deals and coupons will be available to app users only. 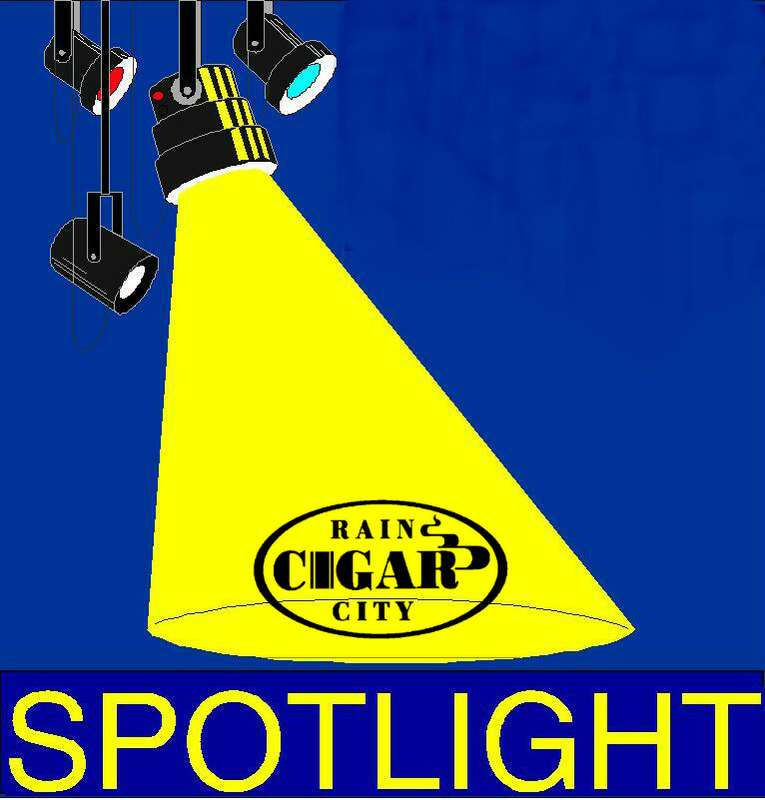 Take a look below to see more information about the new Rain City Cigar mobile app so that you will always know what is in the Spotlight! The four-cigar collection is firmly planted in the full-medium-bodied range, with great harmony of flavor among the tobaccos. CAO's Rick Rodriguez created the blend which features a special combination of four different Nicaraguan and Honduran fillers, not previously used in any other General Cigar offering. Wrapped with a lustrous Ecuadorian Habano Rosado and bound with CT Broadleaf, CAO Concert begins with a kick of pepper, mellows with hints of subtle sweetness and comes to a full-flavored finish. The incomparable Patrick DeWitt of General Cigar will be here to help us shine the Spotlight on this new CAO Concert brand. Patrick has a couple of great deals for you too! Buy three CAO Concert, get one FREE! Buy five CAO Concert, get a CAO Hat or Shirt! Five Rain City Cigar Bonus Bucks! Judging by looks, this cigar has everything going for it - great shape, nice label, beautiful dark wrapper, firm. But how does it smoke you ask? Smooth, medium-bodied, nice amount of smoke, draw just about perfect. Reliable. I'm not going to tell you that this was a great cigar, but it was enjoyable. Actually it was given to me, but I might buy one in the future, "might" being the key word. You know how I always say that my favorite cigar is a free one, well, that only applies to singles sticks, buying a box requires a big-time WOW factor! This AB NY has a lot of really good characteristics, and I'm sure this is the perfect smoke for a lot of you guys, but for me the taste wasn't quite to my liking. I have one more of these in my humidor, I'll be curious if my opinion changes after I smoke it. Heading south in a few weeks - can hardly wait to feel the sun again! We'll be featuring our entire line of Woodford whiskeys, including the Snoqualmie Reserve and the new Double Oaked as well as a special treat, the brand new Woodford Master's Collection Four Wood. During the month of December, we'll be celebrating Scotch Fest at Lit. We have seven single malts with ages ranging from 10-18 years, along with 2 blends and one liqueur, which will be featured all month at a fantastic price! Whether you're a Scotch lover or just want to try something new, you'll find something worth celebrating at our Scotch Fest!